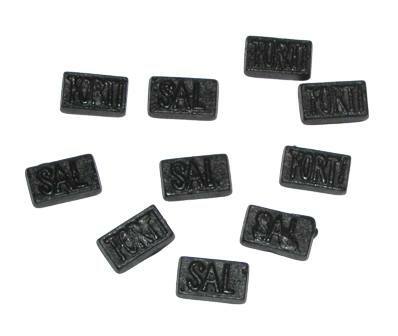 Fortisal DZ Dutch licorice drops are double salted and delicious! They are firm with a rectangular shape. We also have these available on our bulk page in a 1 kilo bag, 1000g Fortisal Dubbel Zoute, at a nice savings per pound.